Like anyone visiting Bali, we went to the impressive Pura Luhur Uluwatu temple, one of Bali’s sacred directional temples (kayangan jagat) protecting the island from evil spirits in the southwest. The temple commands a wonderful view of the sea breaking against the base of the cliffs below, but unfortunately this time, we didn’t get to see the totally unforgettable sunset. 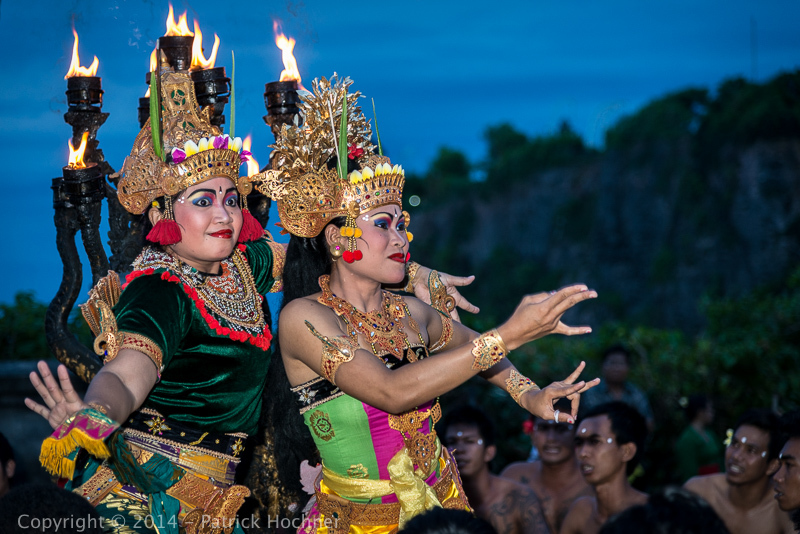 What we did see was the epic Balinese Kecak dance performance. 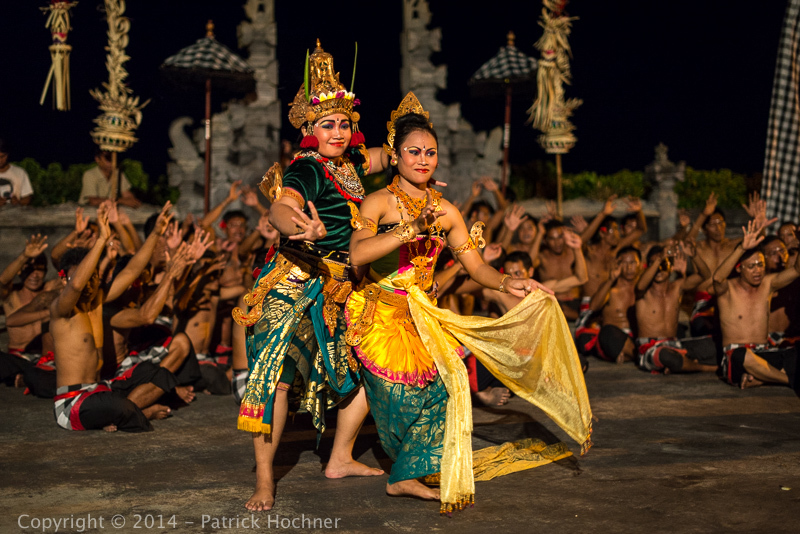 This dance tells the story of an eternal love tale between Rama and Shinta. 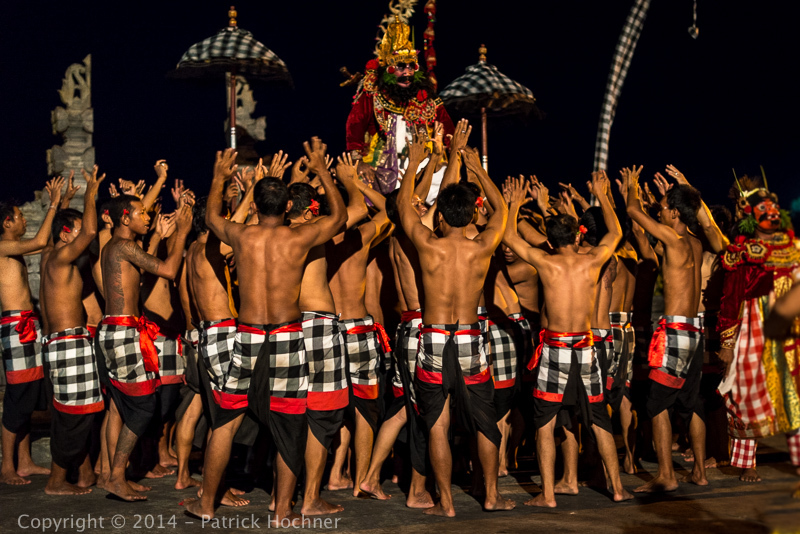 “Kecak”, a trance dance is driven by its participants’ repetitive chanting. In its ancient form, the Sanghyang communicated the wishes of the gods or of the ancestors. In the 30’s, Mr. 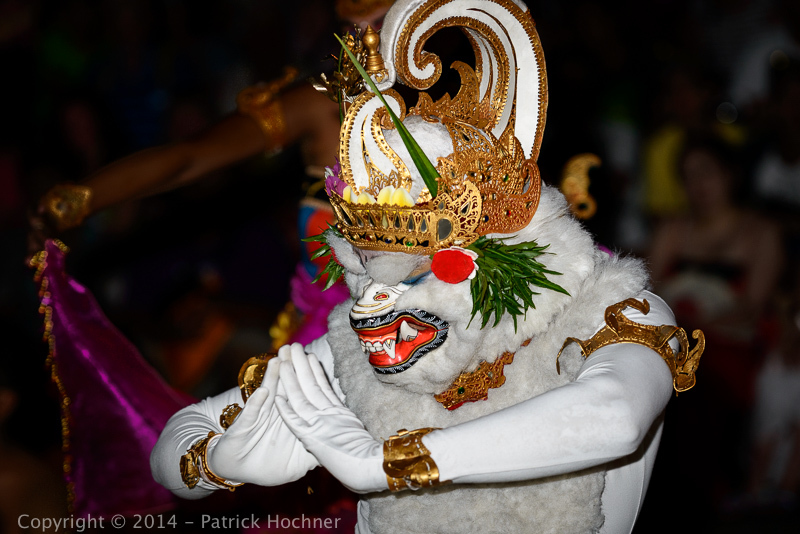 Spies, a German visitor, reformatted the Sanghyang into today’s more familiar Kecak performance – doing away with the spiritualistic aspect of the dance and building it around the Hindu Ramayana epic. 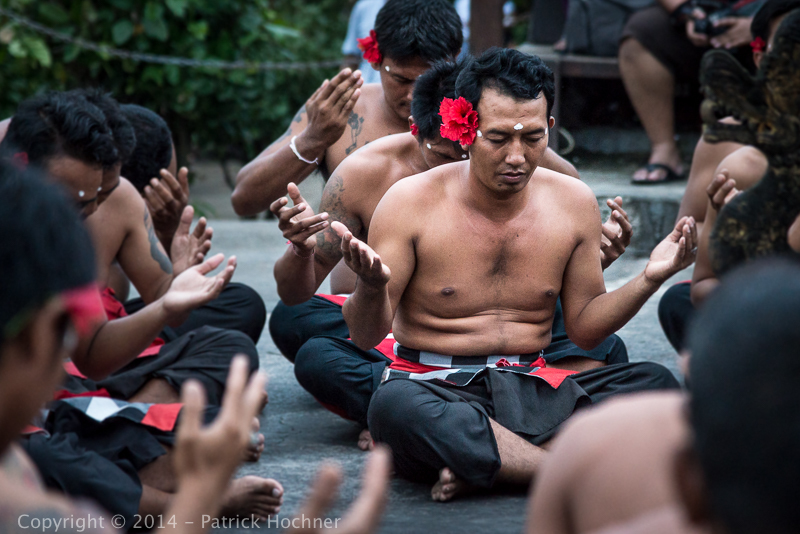 No musical instruments are used in a Kecak dance performance – instead, about thirty bare-chested men sitting in a circle, utter “chak… chak… chak” rhythmically and repetitively. The total effect is trance-inducing – repetitive voices and outlandish costumes creating a unique multimedia experience. The performance plays out as the sun sets, and the culmination involves a giant fire display that is integral to the plot. Having done my homework, I was prepared on time for the fire dance with a very fast lens (50 mm f/1.4) that enabled me to take a few pictures even in the darkness of the night setting in.